Puppies are completely dependent on you for their growth, development and character building. Along with giving them a good diet and exercise, basic hygiene and grooming are also very important for his overall development. Here’s how to groom your pup healthy and beautiful. Grooming isn’t just about making your puppy look good. Regular care removes dead hair, keeps the coat and skin healthy, and gives you the opportunity to keep a check on your pup’s general health. the mouth and chin after meals with a moist towel and drying the area well. Similarly wipe around the belly and lower abdomen 2-3 times a day with a moist towel and dry well. This is to prevent dermatitis caused due to food remaining on the chin or urine around the belly, which leads to pimples, redness and irritation of the skin. Puppies have very delicate sensitive skin and thus the type of shampoo or brush used is very important and depends on the coat type. Please seek guidance from a professional groomer or your vet regarding the dos and don’ts for your puppy’s specific skin type. For the first couple of months, your grooming schedule should comprise daily brushing of the coat and sponge baths only when required. Regular baths or professional grooming can begin from 2.5-3 months onwards. It is not advisable to bath your dog too often, as they lose the natural oil from their skin and predisposes them to a lot of skin conditions in the future. Thus a maximum of one bath per month is ideal for most breeds, especially with our weather conditions. I associate the puppy’s first grooming experience with that of a child’s first dentist appointment. If it scares them, they will fear and dread it the rest of their lives. However, if introduced at a young age and introduced correctly, it can be both a positive and rewarding experience. Love and patience are the keys to years of successful grooming sessions enjoyed by both you and your little one. The process is quite simple and acts as a bonding experience as it is important time spent together, building your relationship, trust and understanding. Pre-groom session: Encourage your pet to come to you for a quick cuddle and play with him for a few minutes to help him get rid of some of his excess energy. The basics: Choose a raised platform with an anti-slip surface to groom your pup. Show your puppy his brush and comb and let him sniff and get familiar with it. During the grooming, if your pup tries to bite or play with the brush, turn away without letting go off him. Ignore negative behaviour but reward positive behaviour with treats and praises. Your pup should look forward to this time of the day as a good experience. Brushing: Slowly start brushing his body while talking to him in a soothing tone and praising him for his good behaviour. This is when he starts relaxing and begins to enjoy the attention. After a few minutes, slowly proceed to brushing sensitive areas like the belly, ears, tail and legs. Nail care: Touch the feet and examine the nails and toes. It is important your puppy gets used to having nails touched in case future nail clipping is required. Ear care: Play with your puppy’s ears by touching them on the inside and outside. Reward him with lots of praises and a treat for good behaviour. This is very important, as many breeds require the hair to be plucked from the ears for basic hygiene purpose. 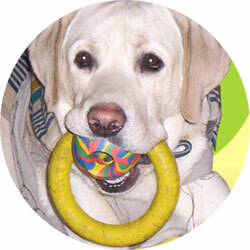 Dental care: Open your pup’s mouth and rub your finger along his teeth and gums. As they grow older, you could introduce a finger brush or puppy toothbrush and pet friendly toothpaste for their daily dental cleaning. This helps in surface cleaning and could prevent early formation of plaque and help in reducing odour from the mouth. Post-grooming tactics: Always end the grooming session with a cuddle, walk or a game. This familiarity with close contact not only makes handling easy but also helps make veterinary examinations less stressful in the future. The setting: If a bath is required, when your puppy is small, a plastic tub would suffice but as they grow bigger, switch to a shower or a bath with an anti-slip mat so they don’t panic if they lose their footing. Warm water: Make the environment warm and use lukewarm water for the bath as puppies tend to get very cold after a bath. Make drying arrangements ready before starting the bath. Bathing: Wet the coat thoroughly and avoid getting water into your puppy’s eyes or ears. Offer praise and reassurance throughout the process and reward positive behaviour. If it’s the first time and your pup is nervous, ask a friend to stroke and reassure the puppy while you wash him up. Shampooing: Use a puppy shampoo specific for your puppy’s coat texture. Initially always use it in dilution and lather well. Leave it on for a few minutes while massaging it well into the coat. Rinse off the shampoo thoroughly, as remains may cause itchiness and scaling later. Drying: Stand back as your puppy gives himself a good shake!! Towel dry well and use a hair drier only during cold weather or if the puppy has a thick coat. When blow-drying your pup’s hair, make sure the dryer is on “Cool” setting as it can burn the skin easily. Also make sure not to use the dryer too close to the skin or directly on the eyes and ears. If your puppy shows fear towards the loud sound of the drier, try to keep him distracted with treats and keep talking to him in a reassuring tone. Run a cotton swab with your finger in his ears to dry any leftover water drops. Make sure the coat and feet are completely dry before letting him go outside. (Dr Nezhat Belgamvala runs PetStepin’ in Bengaluru. Established in 2009, PetStepin’ provides facilities like boarding, day-care, socialising, grooming, pet parties and more. For more details, visit: www.petstepin.com). http://www.dogsandpupsmagazine.com/wp-content/uploads/2013/07/Magzine-Pics2.jpg 134 250 Dogs and pups Magazine http://www.dogsandpupsmagazine.com/wp-content/uploads/2017/05/1254nal.jpg Dogs and pups Magazine2013-07-19 16:17:332017-04-12 00:09:54Groom them young! As a new pup owner, it is extremely essential for you to know what is correct for the pup, right from proofing the home, settling him in, to his diet management, vaccination process, training and YES grooming. 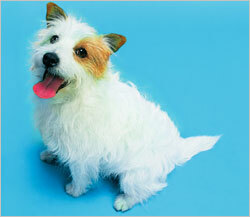 Here are a few Do’s and Don’ts for pup grooming. Be very patient and gentle with your pet when brushing or combing. Give your pup regular chews to keep his teeth clean and free of bad breath. Never clip your pup’s nails at home as you can to cut a vein while clipping. Impatience while opening knots will spoil your pups coat and may also pain or hurt him/her. Keeping your pup regularly groomed, neat & clean can save your pet from a lot of health hazards and uncalled for visits to his vet. Regular grooming will not only help keep your pup’s skin and coat in good condition but will also prevent mats and tangles. Grooming sessions always help in bonding with these four-legged wonders. (Preeti & Sanjeev Kumar of Scooby Scrub (Delhi) are professional certified groomers (Thailand) and animal welfare workers).